Chill your wine on the go with the Bottle Bubble Ice Bag. Simply put the bottle inside and pack it with ice—no drips, and sturdy handles make it easy to carry. Dimensions: 14" x 7.25" x 1"
Nice travel item to have for picnics or hotel rooms! Bags were as pictured and work well for icing down wine or other bottles. It is a great prodouct to keep and transport your drinks. And you get 2 bags. Living in Texas this is the best way to tote a single bottle of white wine! Bringing wine to a party or dinner is always a nice gesture, but finding something special to put a bottle in can be a little tricky. 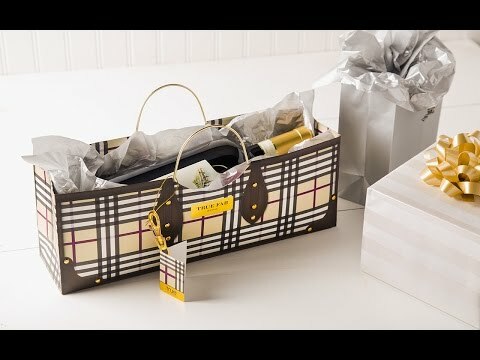 Now you can present that merlot with designer-inspired wine gift bags from True. These novelty paper purses feature your favorite designer prints – almost. But you don’t need to be fashion-forward to appreciate these sophisticated gift bags that have a little sense of humor. They’re a memorable way to give wine as a gift, and durable enough for the recipient to reuse. But a paper gift bag isn’t necessarily the right way to bring wine to say, a beach picnic or tailgating party. That’s where the Bottle Bubble Ice Bag comes in. This plastic bag is sturdy and leak-free – just place your champagne (or other drink) inside and pack it with ice. Your beverage will keep its cool until you’re ready to enjoy it. Great as a gift or to keep on hand for yourself throughout the summer season.